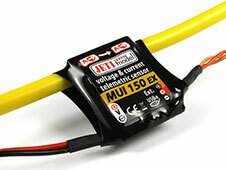 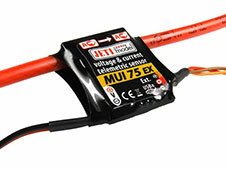 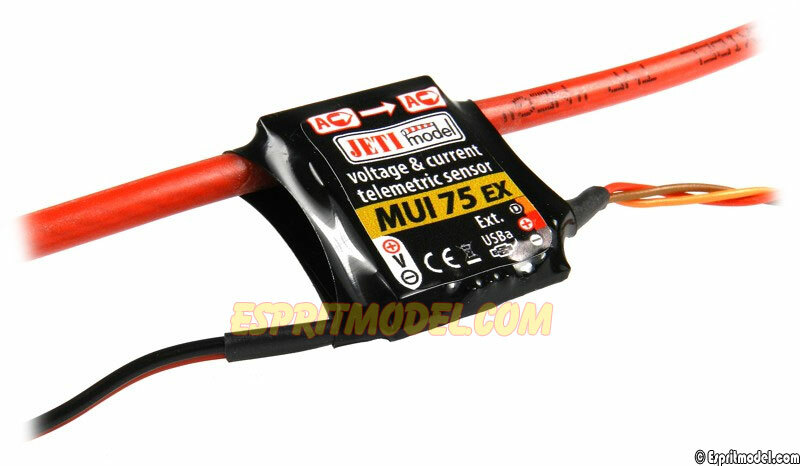 Available in five amperage ranges, the MUI EX sensors measure voltage (U), current (I) and consumed battery capacity of the flight batteries in your model. 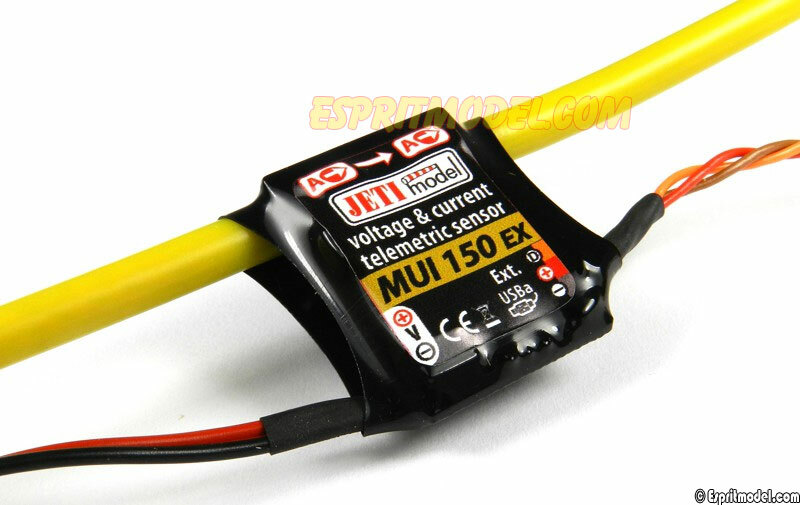 Through the Duplex 2.4GHz system and JetiBox Profi or Jeti Transmitter you can monitor your flight battery performance in real time. 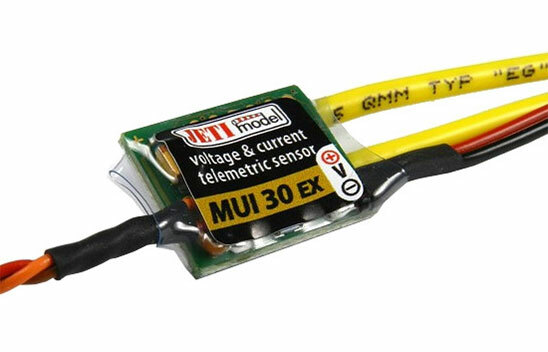 The MUI EX sensors allow you to program alarms for low voltage, high current and capacity used.